They liked the venue. 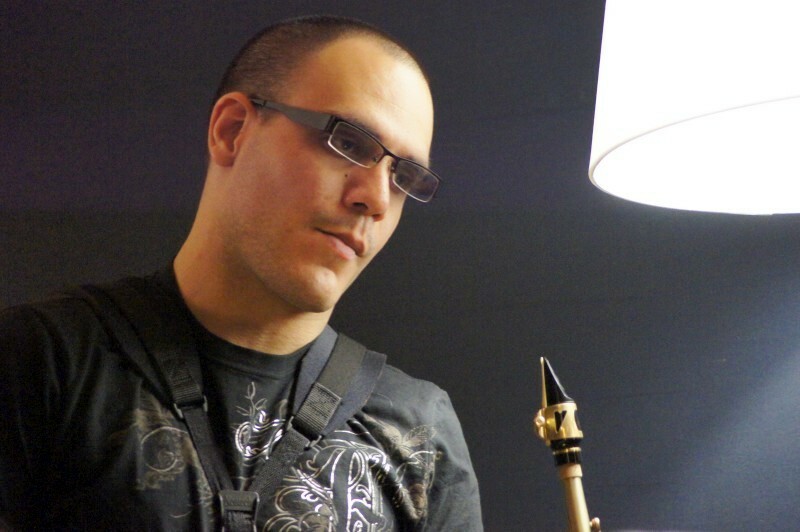 The Loft is small and oddly located in a medical centre, but Darren Sigesmund’s sextet, under the name of Strands, was smiling broadly by the end. 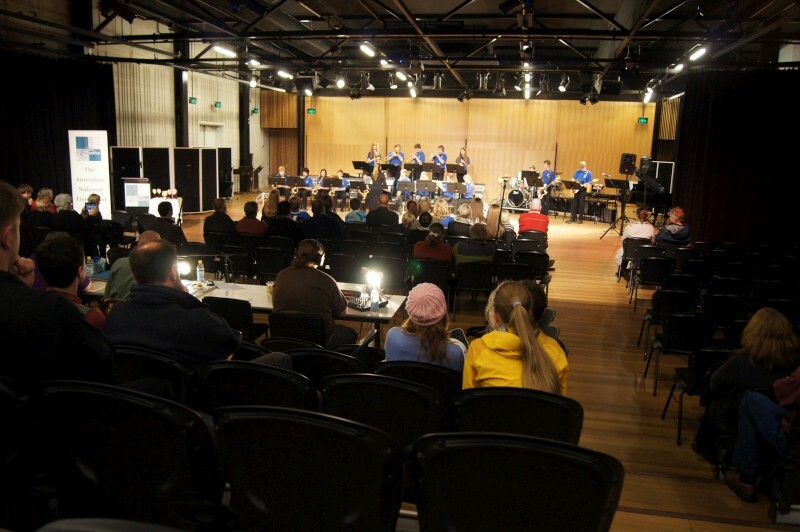 The sound was good and the small venue was filled with a lively and informed student crowd and a various other agers so they could relax after lots of inter-gig travelling and get down to playing. Darren and his band are mostly from Canada, Toronto, and they’ve been touring through Japan, SE Asia, Australia (as far away as Perth), and will be carrying on to NZ on the way home. 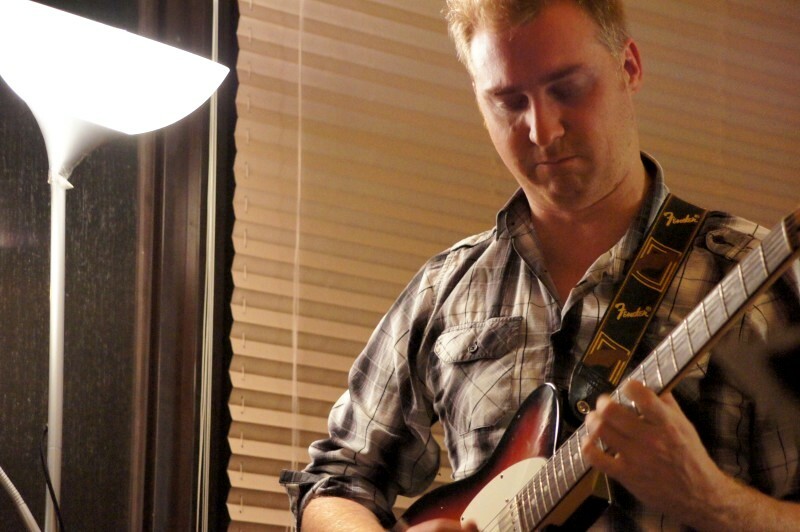 They’ve been picking up players in each country (here it was guitar master James Muller) and borrowing gear. 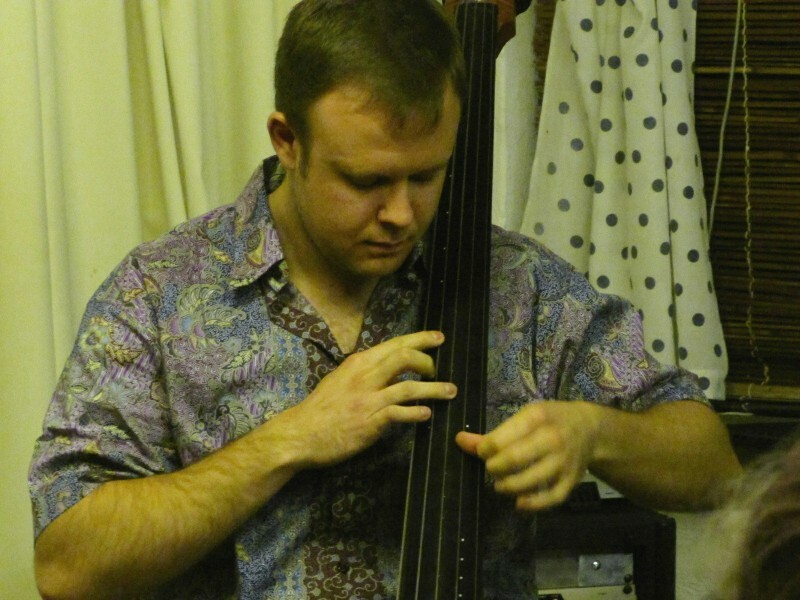 Bassist Jim borrowed my bass, and we joked this was like a series of one night stands and how travelling with just a pocket-sized pre-amp (he was using a UK-made Headway EDB-1) is the dream of every double bassist. 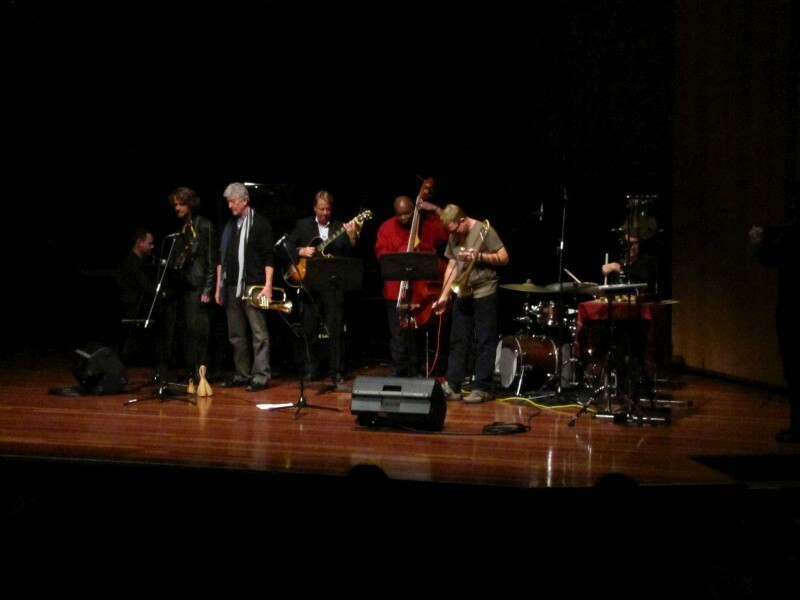 These were no slouchers – they were touring with grants from provincial governments – but they were just a bit under the weather when they started. 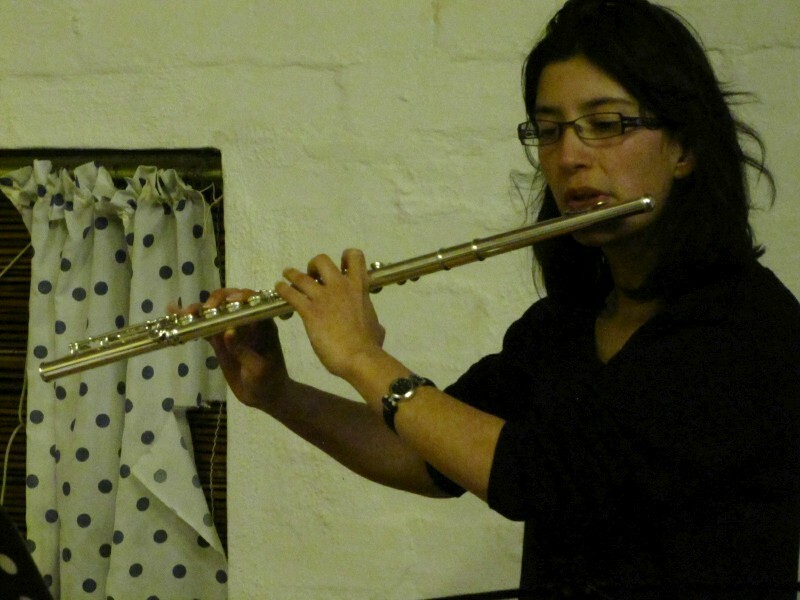 It’s not easy to fly in, eat dinner, play a gig with a new instrument, repeat. 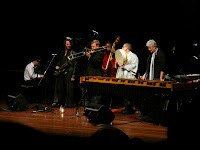 But soon enough the playing was hot and relaxed and by the end of the night, the place was jumping, the solos were infectious, the rhythms were solid and busily syncopated and there were smiles all round. James Muller had told Darren these were hard charts. He read some tortuous lines with surprising ease, but they were hard. There were lots of contorted unison and some parallel harmony melodies from voice and the front line instruments, Darren’s trombone and Luis’ alto sax, but also from James’ guitar and even Jim’s bass. I noticed how the colour and feel of these would change with different combinations - the alto would drop into counterpoint and solo against a melody, or both horns would dissolve into collective improvisation, or we’d get deep intent with four unison parts, or the tone would change with trom/voice unison or alto/voice. 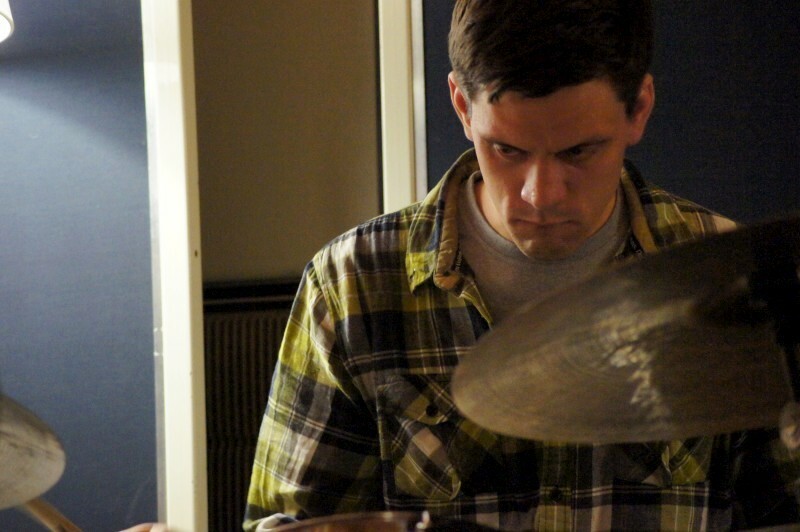 All this against vacillating counts that moved with rock solidity on drums and jazz flexibility on bass. 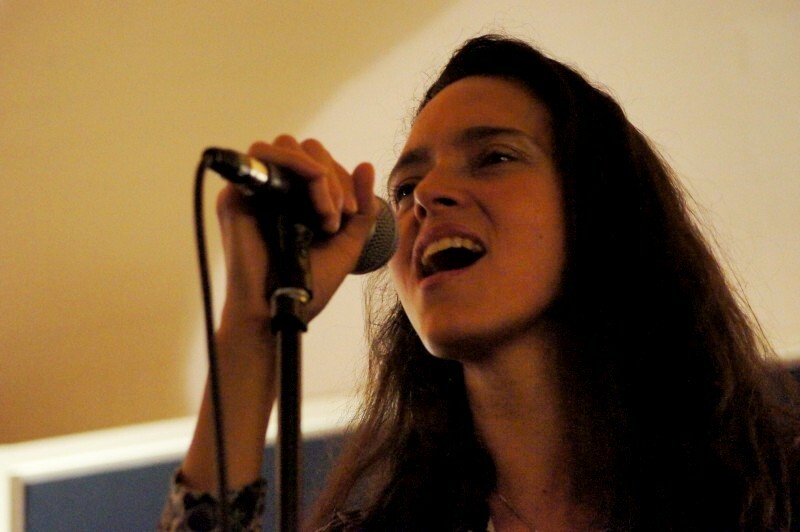 I think it was only on one tune that I heard words from Venezuelan singer Eliana and this was for a ballad. 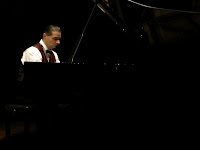 Perhaps it was her Dance for Leila, written for her young daughter and an award winner at the Montreal Jazz Festival. 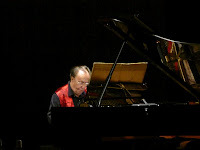 The ballads were equally rich with compositional complexity. I think it was August ballad that had the repeating written bass line that spanned numerous measures. And as for the others, the title 7/8 yikes just says contortions. Their final tune, Little Mizoumi blues, doesn’t sound too complex, but only the solos had some relative simplicity. Otherwise, I loved the Ethan’s sharp hits and so-solid drumming in rock and latin and jazz styles and the easy syncopations and expressive solos on Jim’s bass that made the rhythm section. Also that rounded purity of Darren’s trom, the frequent divergent solos of Luis and the purity of the unison lines with Eliana’s wordless vocals that defined so many of the melodies. And of course James’ guitar was astounding as always. I was amused to see Luis smile congrats after one of James’ solos, and James returning with a (rare) “hah! faked-that” smile. I’ve felt the same thing, when you’re taking it out and it works pretty well, but of course, when James does it, it’s stratospheric. This was a great night, skilled but also attractive and entertaining. I never saw Corea’s first Return to Forever with Flora Purim and Airto Moreira, but this had that lively and melodious presence and joyful Latin influences. I left in great cheer and so did the band. 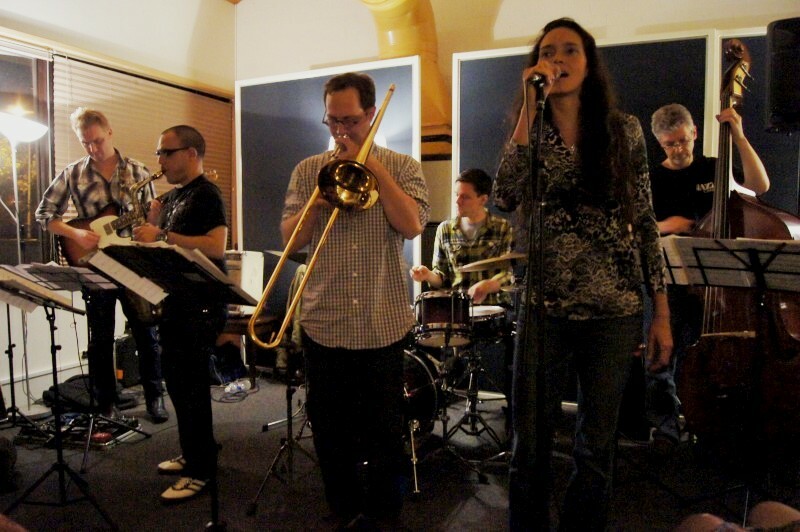 Strands Sextet was led by Darren Sigesmund (trombone) with Eliana Cuevas (vocals), Luis Denis (alto sax), James Muller (guitar), Jim Vivian (bass) and Ethan Ardelli (drums). 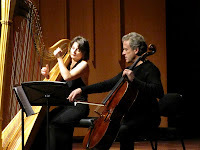 Canberra New Art Music. It’s a challenging concept. 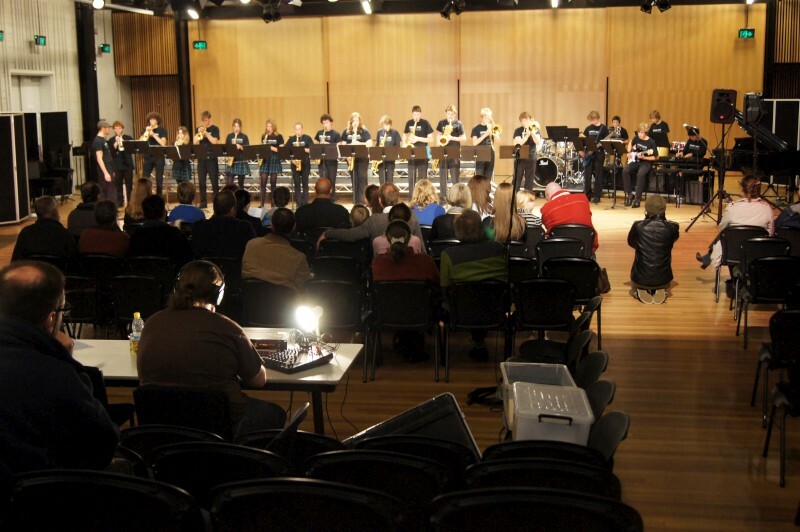 It arose after the Australia Youth Orchestra summer camp in January. A few members discussed how to maintain an interest and audience for contemporary, original music. So this. It was just a little event and the musos almost outnumbered the audience. I didn’t think it all worked, but it shouldn’t. This is experimental, an opportunity to explore and present to an inquiring audience. It wasn’t long, either. Ninety minutes to present about 10 compositions. But there’s detail and complexity in 10 fine music charts so this represented massive work. I was honoured to have been invited. 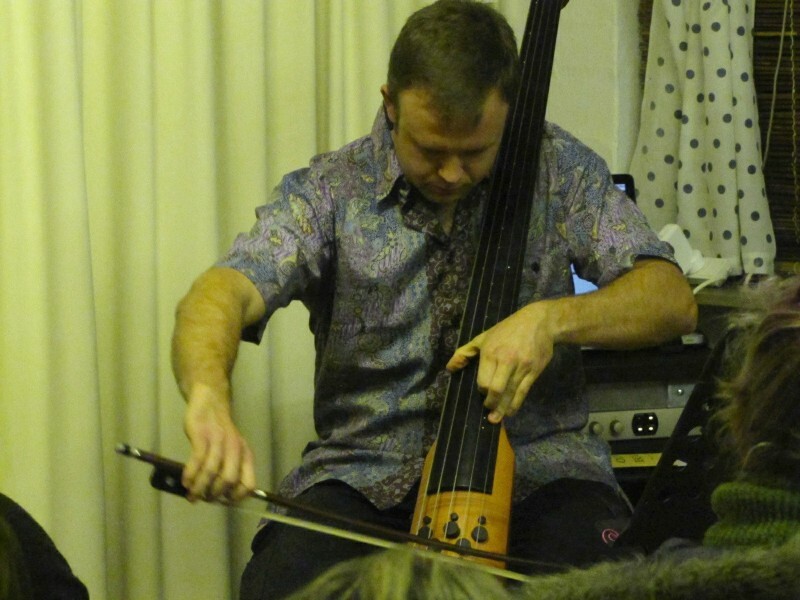 The show started with John Burgess (electric double bass) performing his tune, Searching finding, solo with and without bow, without and without effects. It reminded me of Jaco and Corea. 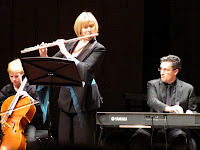 Very fluid, and I expect considerably improvised, and with some impressive technique on an instrument with action set to zero. Amusingly, John complained of larger shoes clicking the wrong pedals, but, not knowing the piece, it still worked for me. Next was Quartet no. 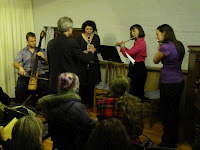 4 by Nigel Poole, performed by Sarah Hewat (flute), Rosemary Shepherd (flute), Marlene CP Radice (clarinet) and John Burgess (bass). This had elements of a round that passed sometimes jolly lines between instruments against flutes playing crochets in 4/4. 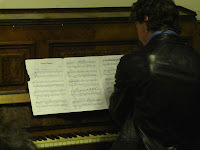 Next was Robbie Mann (piano) playing a Larry Sitsky composition, Nocturne magique, on a questionable piano. 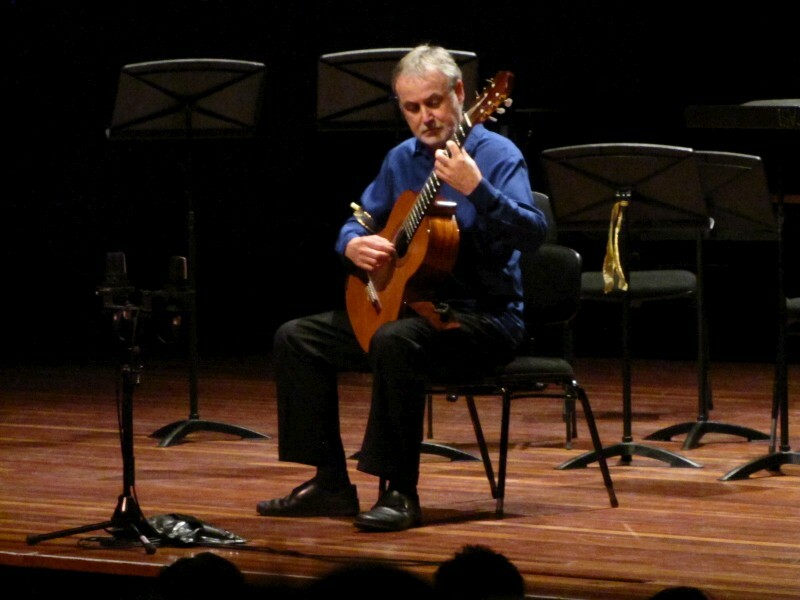 It’s constructed from a tone row with notes representing letters of a name, and accidentals placed irregularly. I liked this, especially for the time delays between hands, an effect I also noticed when Larry Sitsky played Dvorak at the SOS concert earlier in the week. 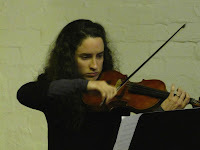 Then Hayley Bullock (violin) played Zara 1 for violin by Paul Witney. This was a work based on a three note motif, with triplets, slides, double stops and more, and with occasional hints of hillbilly to my ears. String quartet no. 3 by Lulu Huang followed. I found this very satisfying. 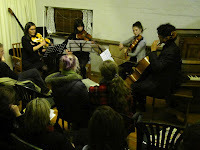 It was played by the String Theory Quartet comprising Erin Patrick, Sabrina Tiong, Rosy Davidson and Darsha Kumar. I counted 7/4 at one time and triplet feels and 4/4 at others. 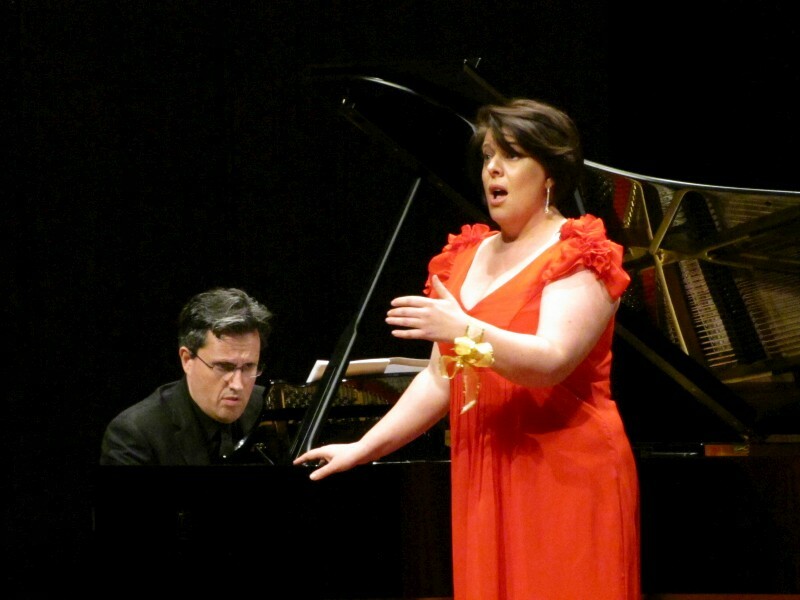 I heard it as a slightly dissonant take on Mozartian sweetness: melody with a contemporary quizzical take. Are you out there? was written by hostess Thea Zimpell and performed by Marlene CP Radice (clarinet). It was a dedication to Thea’s mentor, Stephen Stanfield, now deceased. 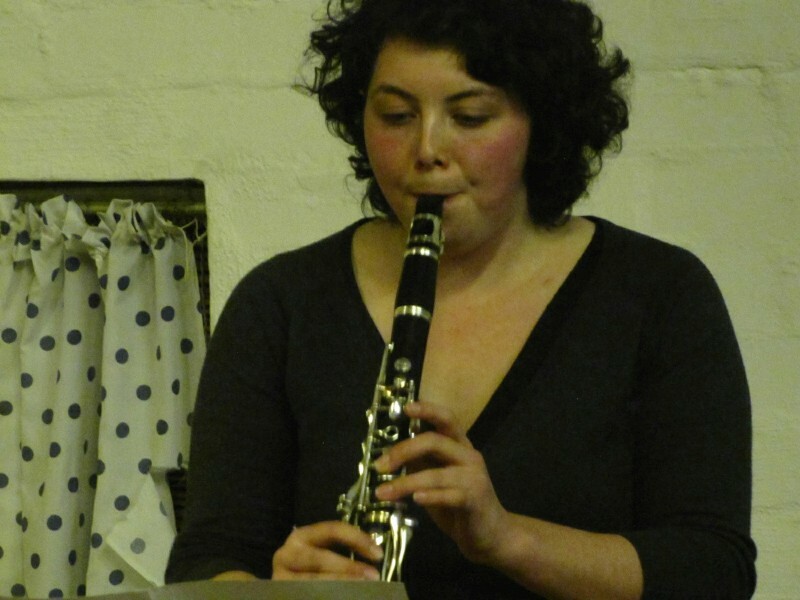 It was solo clarinet, pure, sometimes harsh, often cutting, sometimes meandering and mostly questing. Then Lucia Gonzales (flute) played a solo piece by Marlene CP Radice called There’s no one here, there never was. It’s based on words of a Leonard Cohen poem. Sometimes sparse, sometimes lively, it reminded me of sprites in the words. 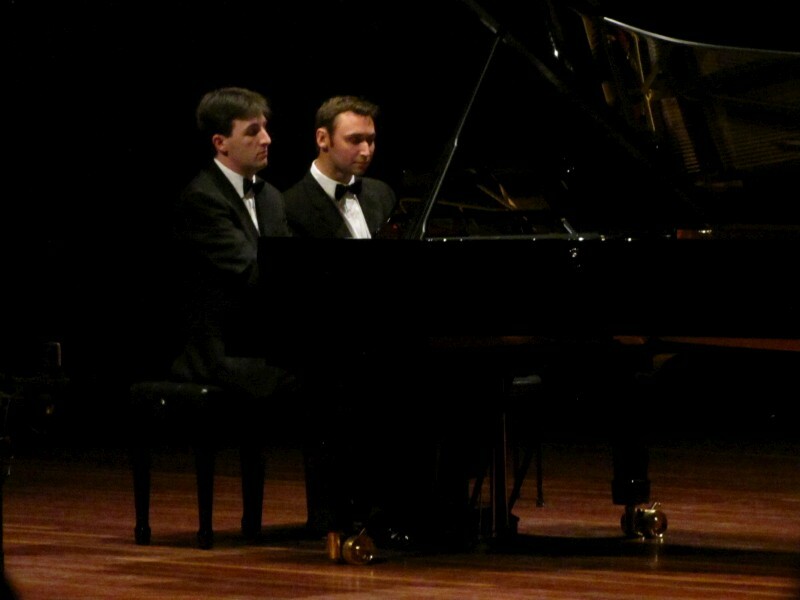 Then Playing with shadows, piano trio no. 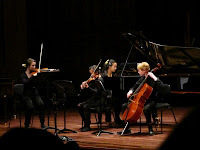 3 by Sandra France performed by Hayley Bullock (violin), William Tu (cello) and Thea Zimpel (piano). This was the second movement of a CD, Fluctuating states of calm. The name fits: this was open and pensive and questioning. Last was a humourous finale called Mouse by Michael Sollis. 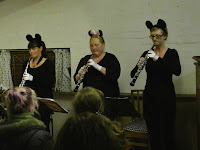 We were amused by Sarah Pettigrove, Megan Billing and Kirstie Raffan (oboe, oboe, english horn) arriving in black with mouse ears. We were more amused by a four note motif with varying often lengthy rests between repeats, frequent unisons, occasional sidesteps and infrequent harmonies. All with simple sudden choreographed movements. It was much more intriguing than you would imagine and a great way to end a night of considerable inquisitiveness. 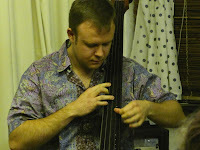 John Burgess encored with an another solo bass piece to satisfy his concern over his mistepped effects. This one was more pulsingly rhythmic and featured some e-bass techniques on his very lowly strung axe: tapping, chords, slides, harmonics. John Kerr was a much reviled character after his putsch on Gough Whitlam in 1975 and he died miserable and perhaps alcoholic and unloved some years later. It’s an interesting parallel because Ian Young is just another Canberra tale. Nobody shot John Kerr, which may have been an outcome in more revolutionary places, but he suffered none-the-less. He was rejected by Whitlam’s supporters who maintained the rage and soon enough ignored by Fraser’s team. Australia continued, but with a gash in its democracy. I’ve been surprised at the rapid and widespread response to Ian Young’s action on the School of Music. An online petition is past 23,800 when I last looked. A rally on a work day brought 1,000. Students organised a 24-hour marathon jam in a few days on the coldest night of the year to that date and a public concert drew the biggest crowd ever in Llewellyn. This is actually one to ponder as we enter the brave new world of Ian Young’s curriculum change with its intention to “develop skills across a range of music jobs”. 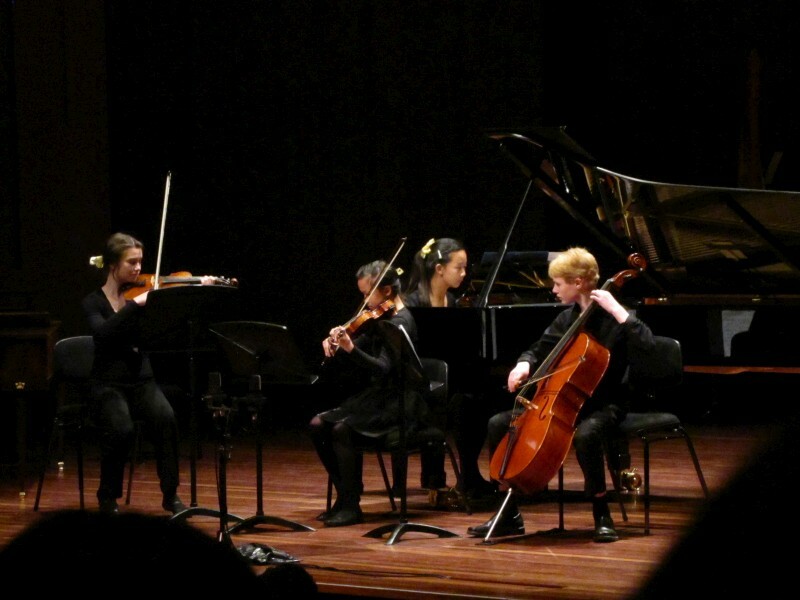 These students weren’t educated for this new vision, but they organised a 24-hour jam in a few days and a 4-hour classical concert in a few weeks. It’s a typical managerialist conceit to value management over purpose. 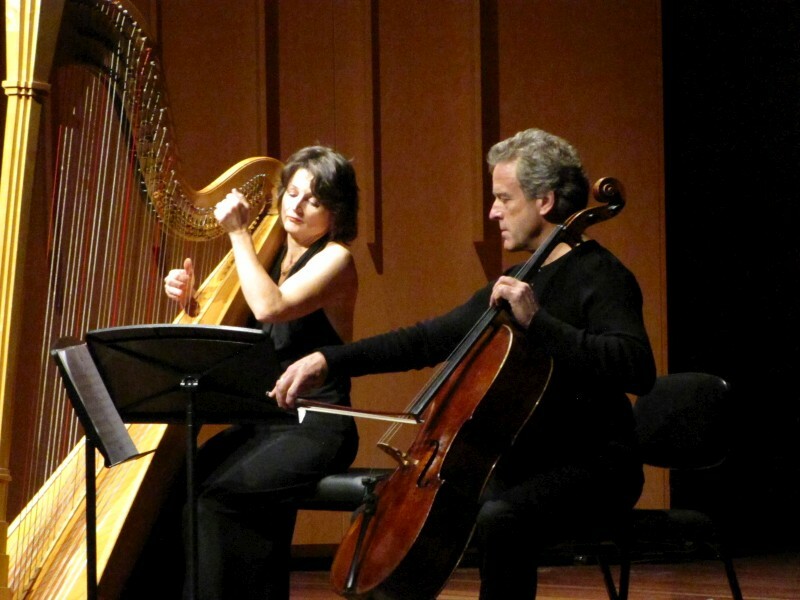 The purpose of a concert is the music made by the musicians. The various managers and promoters and the rest are mere enablers. There’s a whiff of fascist control in managerialism, in organising and bettering the malingering hoards. Ian Young’s decision with its blitzkrieg timing (is it three weeks yet since the announced intention to the death knell?) is out of the managerialist camp and informed by military planning. Unless some mining magnate or generous government appears in the wings, music in Canberra is doomed. How long will it take? Not long. Next year’s School of Music intake will take the first hit as promising musicians go elsewhere. Already we’ve lost Adrian Walter and within months we’ll lose other staff members. I expect a few will just retire and remain locally, so some reprieve. 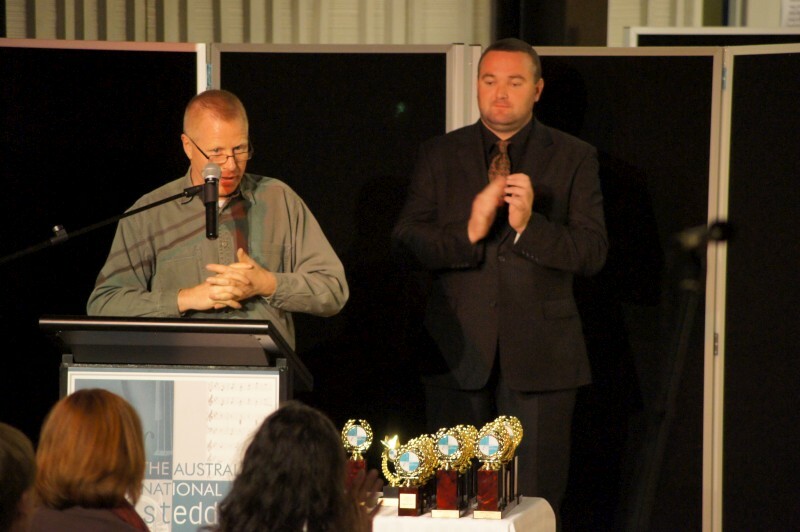 The Canberra International Music Festival is riddled with ANUSM staff, so maybe that dies a death. 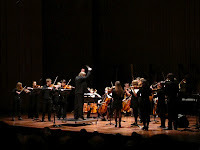 And our Canberra Symphony Orchestra will lose its subsidised musicians feed soon enough and its choices are probably amateur status or closure to retain its pride. 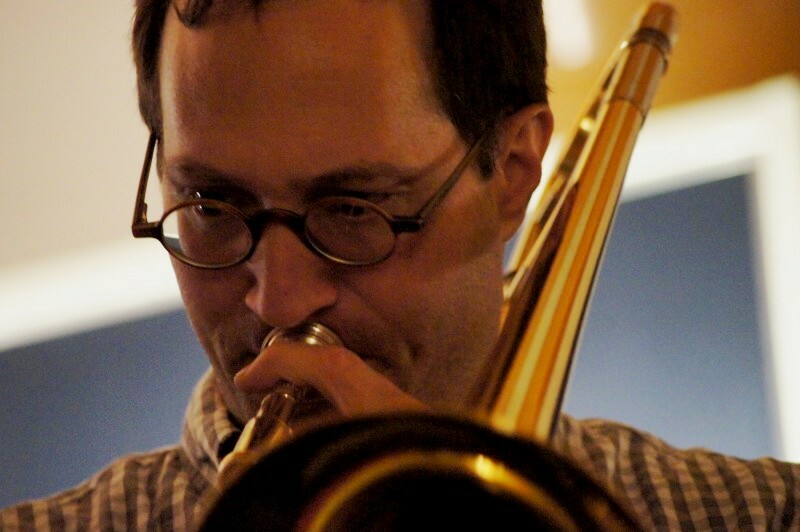 Like many other musical activities, jazz will be reduced to small town status. All this on the eve of our brave Centenary of Canberra celebrations. Robyn Archer must be crying in her boudoir. There’s logic in all this, of course. Music training is expensive. Airconditioning a generous building with delicate instruments is expensive. Balance sheets are blithely rational and they may claim to be value-free. But assumptions underlie markets. What you measure becomes what you value. Markets are level playing fields that advantage wealth and privilege. Civilisation and morality are of no import to markets: an oil spill is more wealth-creating than a parent’s love. In all this, Ian Young is just another cog. We don’t honour cogs and big cogs are often reviled. For me, this is another painful injury. My abiding personal interests in life have been science through astronomy and the arts through music. The Canberra bushfire on 2003 destroyed most of Mount Stromlo Observatory. 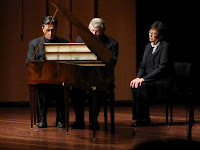 Now, ANU has delivered the death blows to the School of Music. It’s not the holocaust, but it’s painful. On the eve of our glorious centennial, let Canberra return to the sheep dip. Maybe Robyn will invite Kylie to Stage 88 for our birthday. Let’s just forget that fuddy-duddy old Uncle Wolfgang, let alone the upstart cousin Sergei or embarrassing Miles. 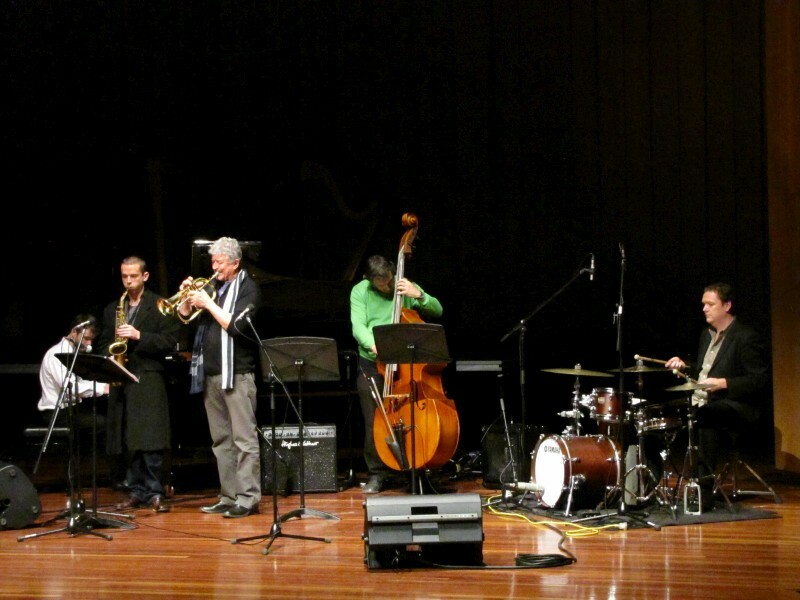 ANU Council today fully discussed the proposed changes at the ANU School of Music. Council expressed its full support for the change process that has been set in train, acknowledging that on both academic and budgetary grounds, the present curriculum and staffing arrangements were unsustainable. 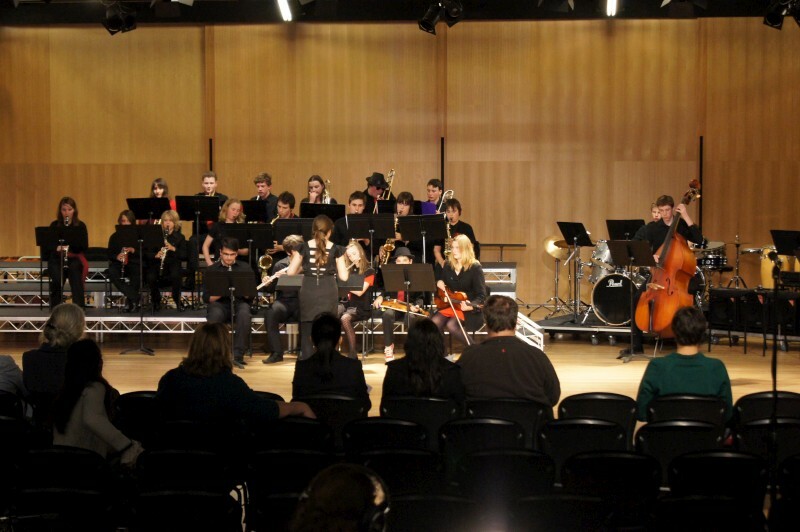 Council was strongly of the view that the School of Music has been a wonderful resource not only for ANU, but for the Canberra community and indeed the whole nation, and that it was particularly important in this context that its performance teaching stream remained credible and viable. 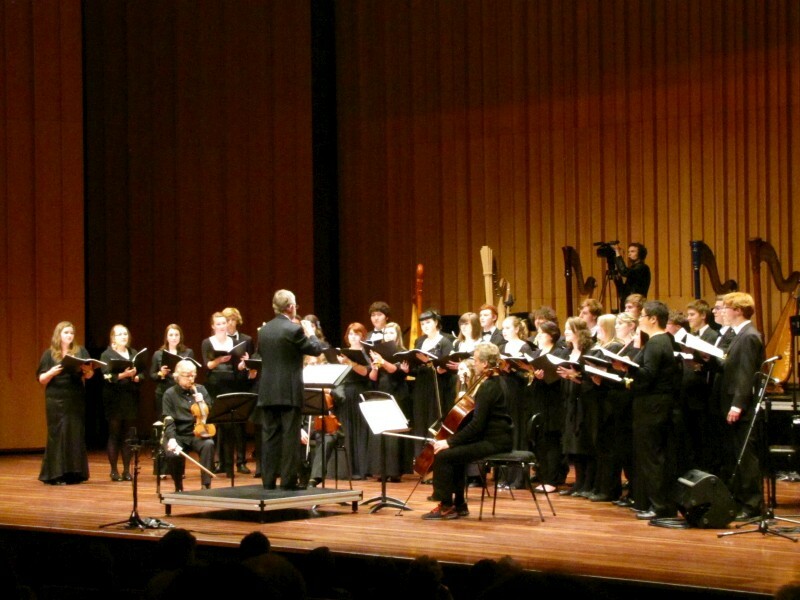 Council acknowledged that Canberra was clearly underdone in terms of support for music performance, especially for the Canberra Symphony Orchestra, by comparison with other capitals. While the University was prepared to continue contributing significantly to meeting this need, it was crucial that the ACT and Federal Governments as well as the philanthropic community, all played their part. Eisteddfod is an impossible word for anyone born outside Wales. 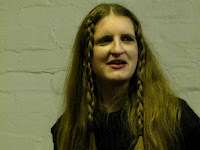 Practice makes perfect, so I’ll write it again: I went to the Eisteddfod the other night. It’s one of those relics of empire, but a valuable if low-key institution. I doubt it’s low key for the school kids who perform. 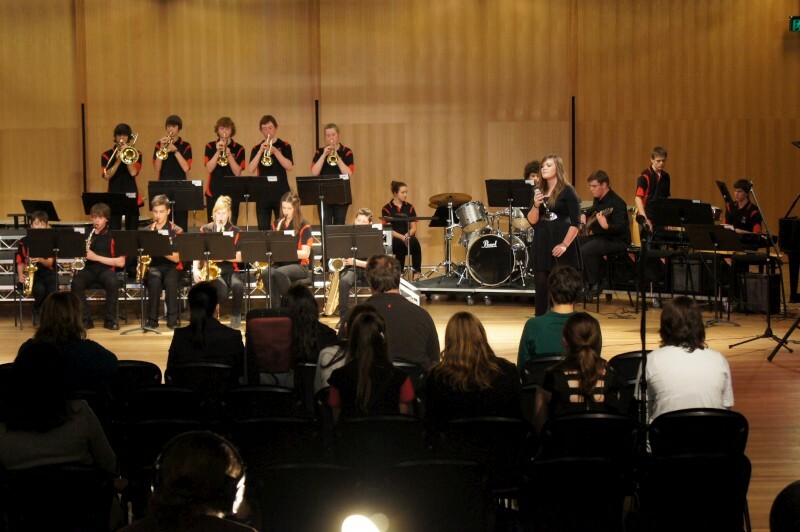 Thursday night’s competition was for jazz bands. 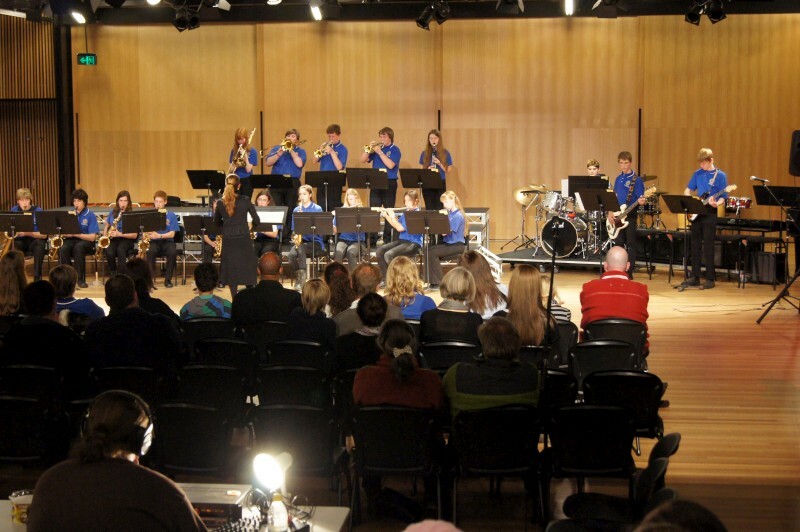 I heard a range of big bands from various schools, of varying ages and competencies, at various levels. 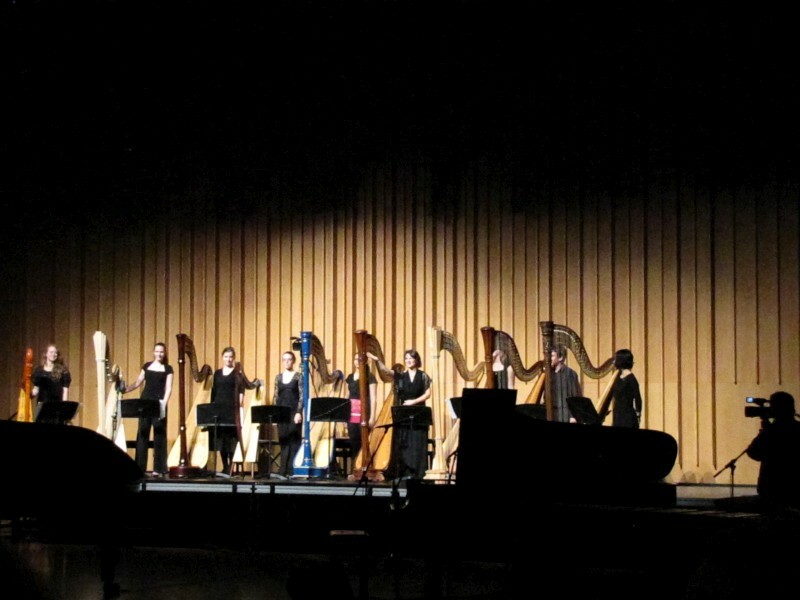 Each band had 12 minutes of so to perform and played two or three tunes. 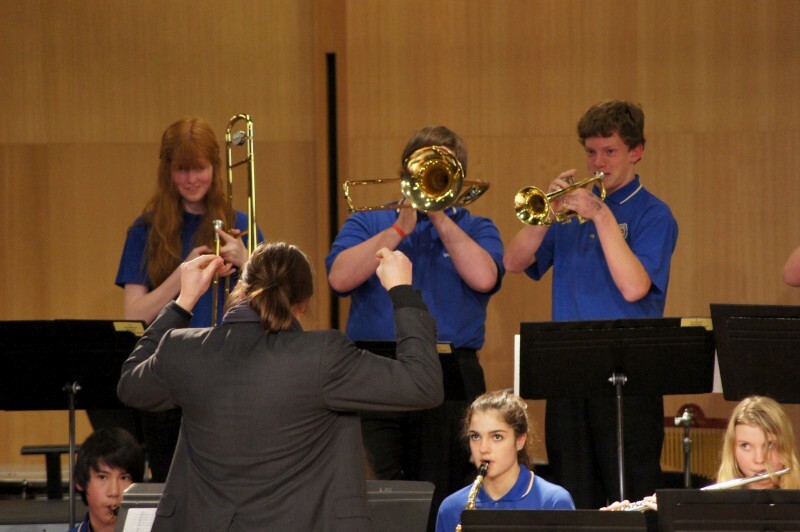 Adjudicator Lindsay Frost gauged and commented on the bands then gave awards at Gold, Silver or Bronze level. Every band got an award, so this was a measure of competency or development, rather than of ordering and wins and defeats. 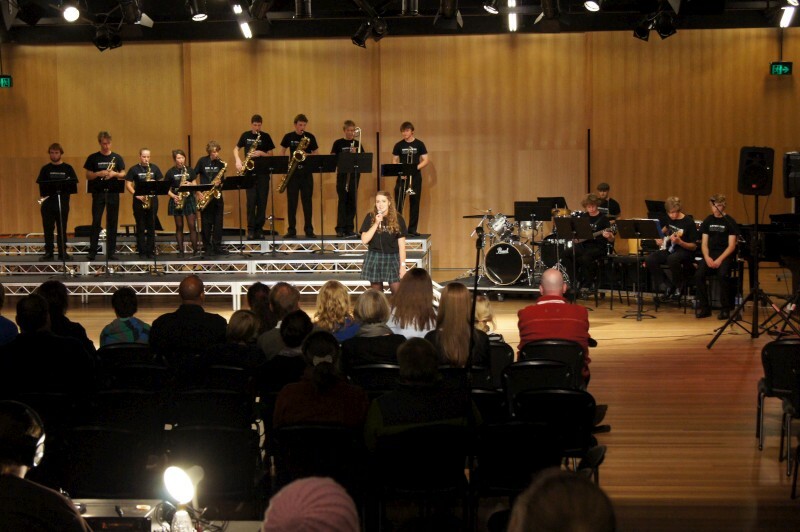 Lindsay is a successful school band leader, a graduate of the Canberra Music School and a performer with the Army and other bands. 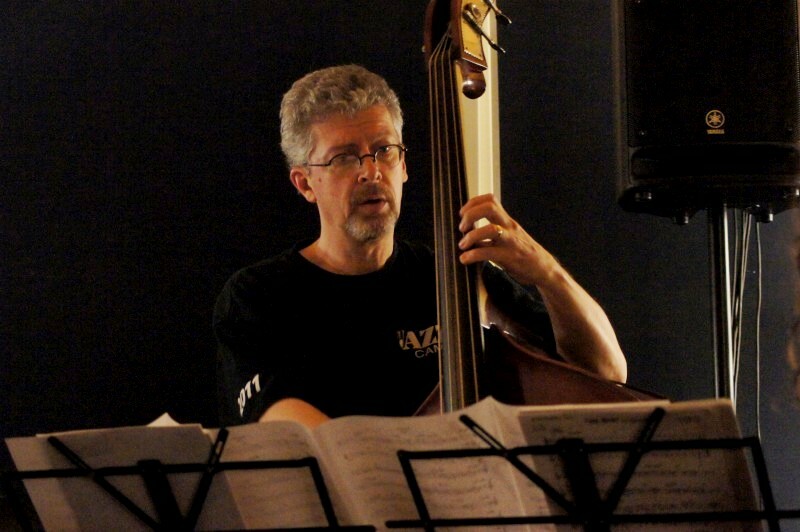 I was interested in his comments: be bold, have confidence; “move air” as a message to the horns; his support for unusual instruments playing jazz – cello, violin, oboe; balance between sections; importance of the rhythm section; a welcome to guys who sing. I loved some of the tunes. There were lots of pop tunes of different eras, all standards to be: Sting, Picking up the pieces, Don’t know why, Ain’t no mountain high enough and a few earlier ones, including Ella’s A tisket a tasket. Then there were the jazz tunes: Night in Tunisia and Blue train; Little sunflower which worked really well in this format; Monk with its rhythmic challenges; Israel for a sophisticated challenge that I didn’t expect to hear. There were some nice bands through the night, but I lazily didn’t keep tabs. 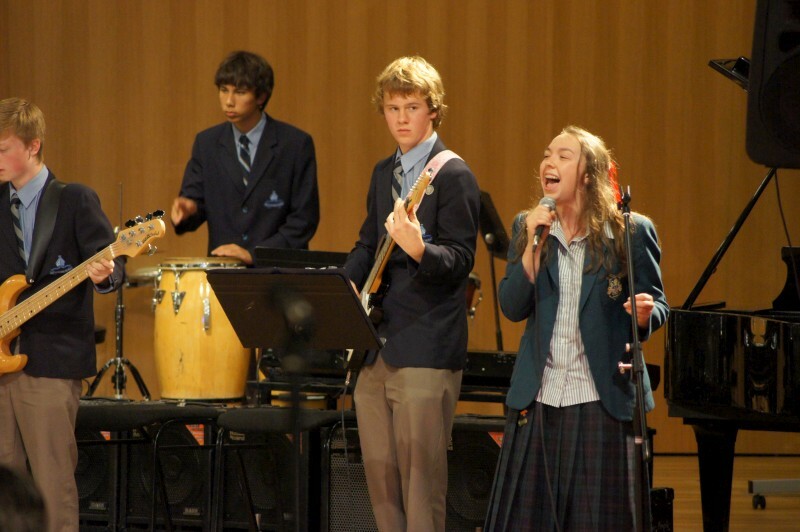 But I must just highlight the Combined Grammar School Band. They were the last band I saw, and they were the most involving and professional amongst good company. Given John Mackey is their leader, I am not surprised. The Grammar Schools have excellent music programs with the best local teachers. Their set was the infectious instumental funk, Average White Band’s Pick up the pieces, Ella’s A tisket a tasket, surprisingly and very well sung by a male, then Ain’t no mountain high enough sung in true gospel style by a female. (The female singer from Campbell High School band was very good, too). These were both very mature singers and the band was confident and grooved. Good song choices, too, that had the parents grooving in the aisles. Good on the Eisteddfod and the better parts of empire. 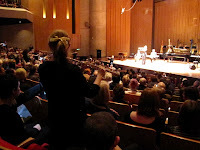 It was not till late in the Save the School of Music concert that we felt the pain and loss that the changes proposed to the School would impart. Larry Sitsky came on stage for the penultimate act. He dedicated it to his “wounded colleagues” and commented that “I was here to turn the lights on and I hope I’m not here to turn the lights off”. His Slavonic Dance by Dvorak was impassioned with profound dynamics and a sense of time that rippled right hand against left. 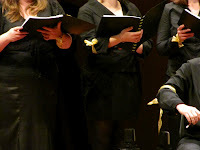 Then followed the SoM Chamber Choir with one unaccompanied work and one work accompanied by a string quartet. 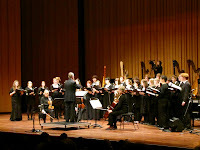 Dvorak and Vasks: both religious works and both slow and deeply emotional and deeply felt and gloriously sung by the choir. Close harmonies, moving gently, a featured solo male, soaring sopranos. This was a touching end that left the audience virtually in tears. 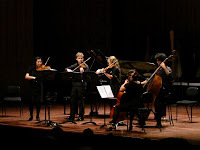 Most of the night was like a classical variety show, a family show with snippets, varied, some joyous, some passionate, some despairing, some angry. 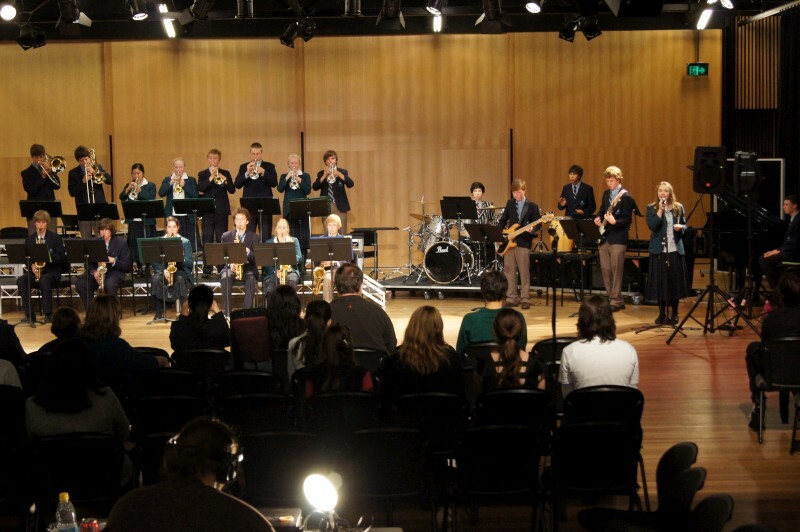 The adults performing with panache, the juniors with some trepidation, the babes (prep students) welcomed with their keen intent and involvement, the distant rellies from the jazz school welcomed if not fully understood. I felt it was mostly a classical scene, but Miro and mates were well received, even if the Llewellyn acoustics did them little justice. It was a big family. 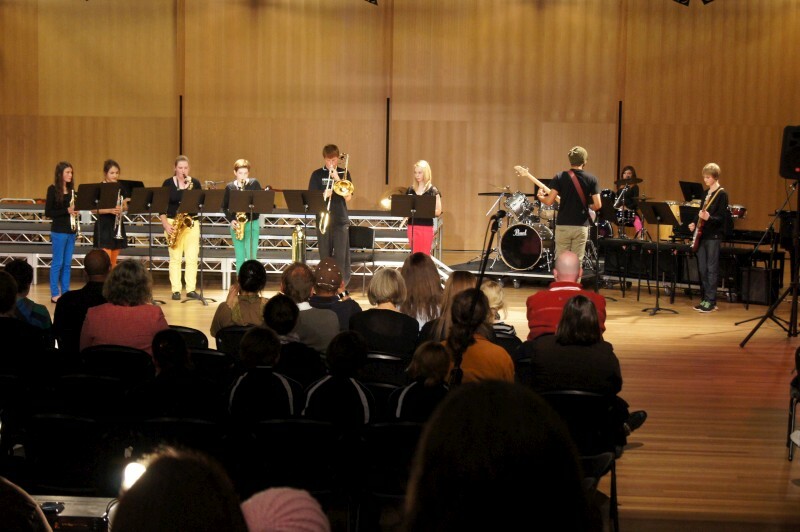 The Canberra Times reported it as the biggest event held at Llewellyn. I could believe it. The audience overflowed into the Larry Sitsky room and viewed a video stream with who knows how many others on the Net. The building held 2,000 so almost 1% of Canberrans were on the premises. It’s impressive and a message although maybe to the wrong decision makers. 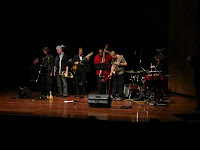 So what did I learn beyond Canberra’s love of music and the School, which I had little doubted in this quietly intelligent city-state. 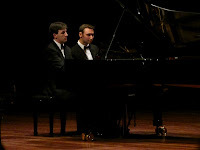 Perhaps my two favourite pieces on the night were both Prokofiev piano works. The first, Toccata Op.11 played by Philip Johnston, sent me for a musical spin with its virtuosity and manic turbulence and rabid dissonance. 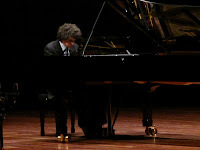 The second, Sonata no.7 Op.83, 3rd movement played by Arnan Wiesel, responded to murders at the hands of Stalin and was reactive, angry, perhaps frustrated, with its heavy, repeated left hand two-note phrases. And the Dvorak, although very different from Larry Sitsky and the choir, seemed to me the most clearly true and deeply touching. I loved to hear the different sounds of sweet and toneful pianoforte next to the potent and percussive Steinway, and the Australian bush tones of flutes and frog-like percussion that surrounded the audience in the first piece by Ross Edwards. 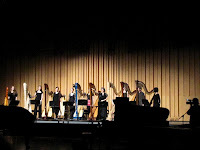 I enjoyed hearing the juxtaposition of levels of skills: the dedicated students who performed with growing then impressive skills and the insightful masters who seemed to just become one with the music. I enjoyed a few operatic pieces. 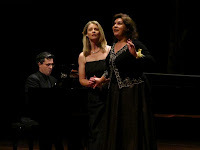 How could you not enjoy Louise Page and Christina Wilson performing Delibe’s Flower duet from Lakme, and Rachael Thoms did a great job on Verdi’s Sempre libera from La Traviata. 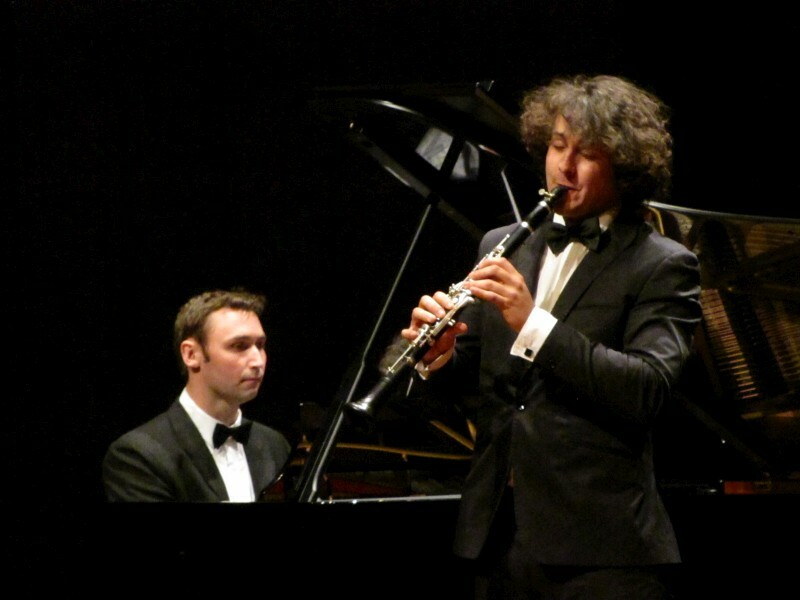 Tom Azoury and Andrew Rumsey surprised me by introducing me to a genuinely interesting film theme, a quizzical but relaxed march called Viktor’s tale by John Williams. 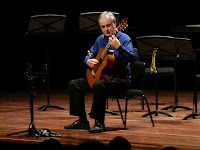 I also enjoyed the classical guitars, especially Timothy Kain playing a prelude by Figuerdo. 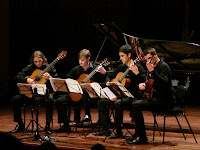 The jazz contingent struggled with the acoustics, but did three tunes with sharply harmonised melodies and nicely ruminating grooves. 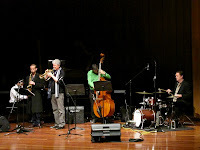 I especially noticed Mike Price’s comping and various horn solos including from tutor but Canberra visitor James Greening and Matt and John and Miro and some marimba by Gary France on Miro’s Bronte Café. I couldn’t much hear the pianists and much the same for Eric’s bass. What else? 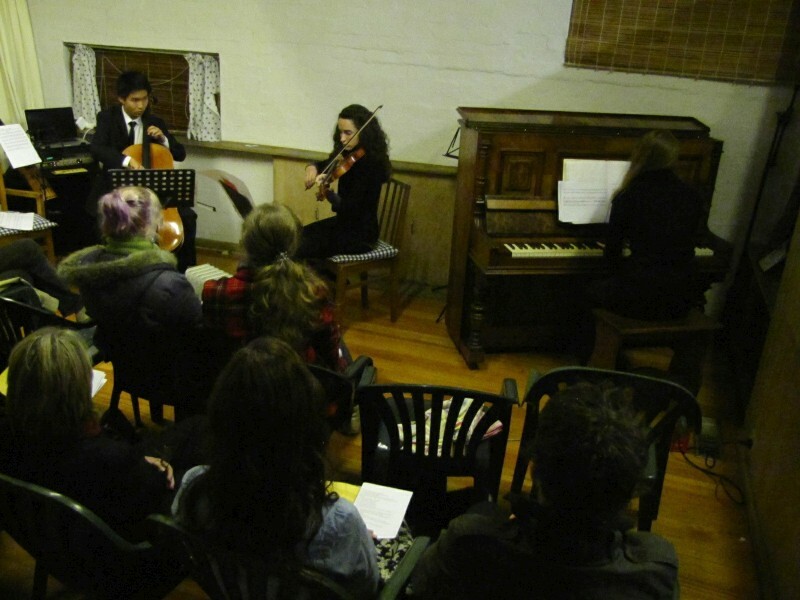 Daniel Dim, Luke Keanan-Brown and Rohan Dasika playing standards as we arrived. The Fabulous flutes that performed that shimmering surround sound piece by Edwards. Alice Giles with 8 other harps, later alone and later still with David Pareira for a dreamy waltz by Arvo Pärt. A pre-tertiary string/piano quartet and a student guitar quartet and the student Wolfgang Quartet. 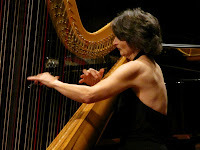 Barbara Jane Gilby with Meriel Owen playing a Frank violin sonata and James Huntingford and Andrew Rumsey for four-handed piano and Geoffrey Lancaster and Allan Hicks for four-handed fortepiano. 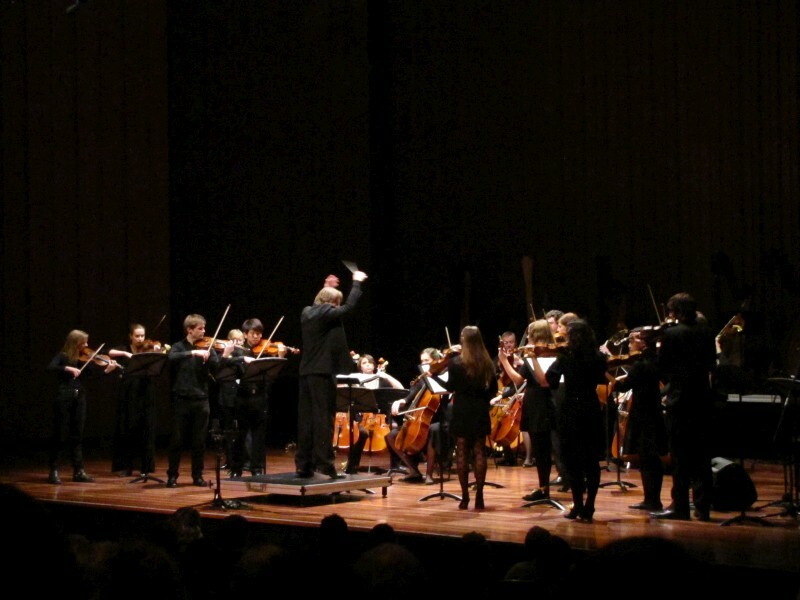 The SoM Chamber Orchestra played a string-heavy Vasks piece that was all the world like Barber’s Adagio. Lots of music, lots of variety. In the end, it lasted four hours. It was unexpectedly lengthy, often exhilarating, tiring towards the end, but I left with a feeling of loss and sadness. This isn’t the only institution of its type but it’s clearly a bloody good one and it’s well regarded in Australia and internationally. Its loss would leave a gaping hole in the soul of Canberra, our own musical Anzac. It will be some time before we hear of any decisions, but clearly very many Canberrans care for a positive result.